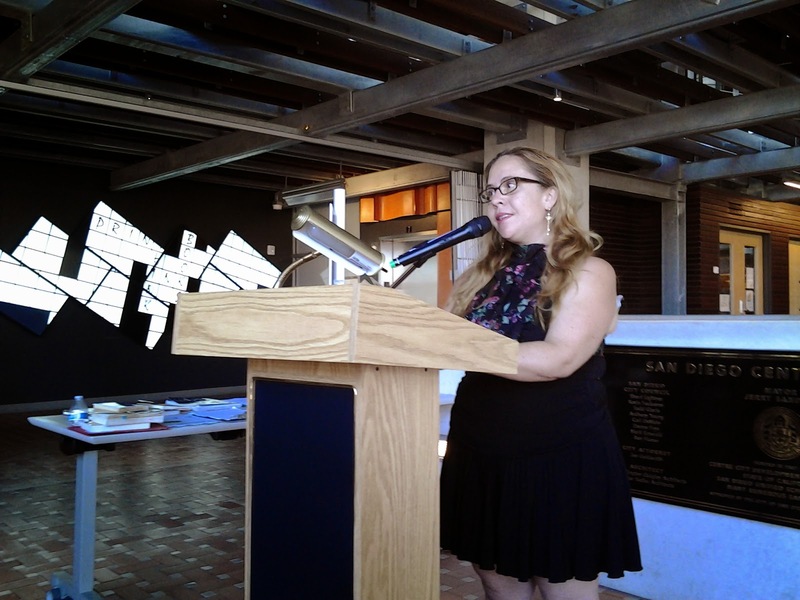 It’s always such fun to watch passerby’s reactions to readings while performing at any event. This year, I limited appearances in order to concentrate on other areas of my career, but am again accepting select invitations in a variety of venues. 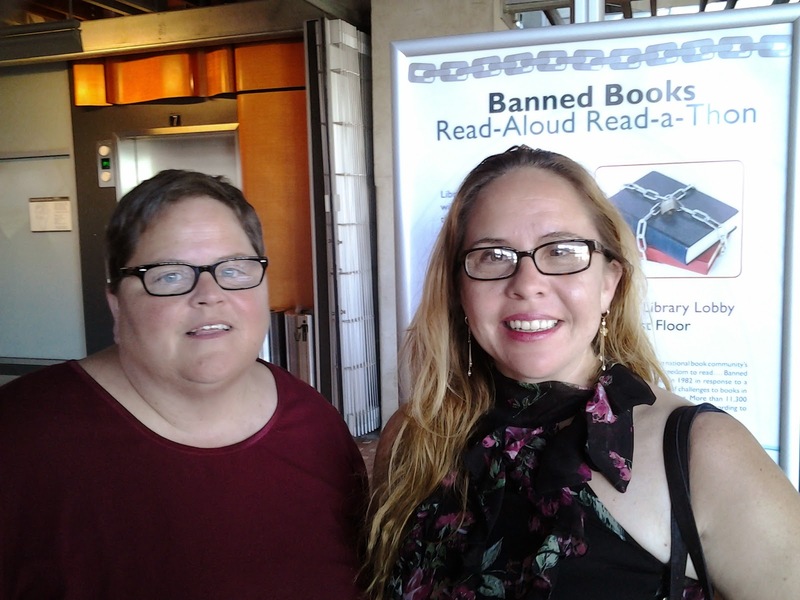 San Diego Central Library’s Banned Books readings is always an adventure for me. It was quite fun to read poetry from Nikki Giovanni’s Our House.http://www.nikki-giovanni.com/ Her ideas and words resonated with my nascent concepts of “self” as a youthful African American teenager evolving female identity in a racially divided America. A small crowd of avid listeners sat and interacted with us at the reading. 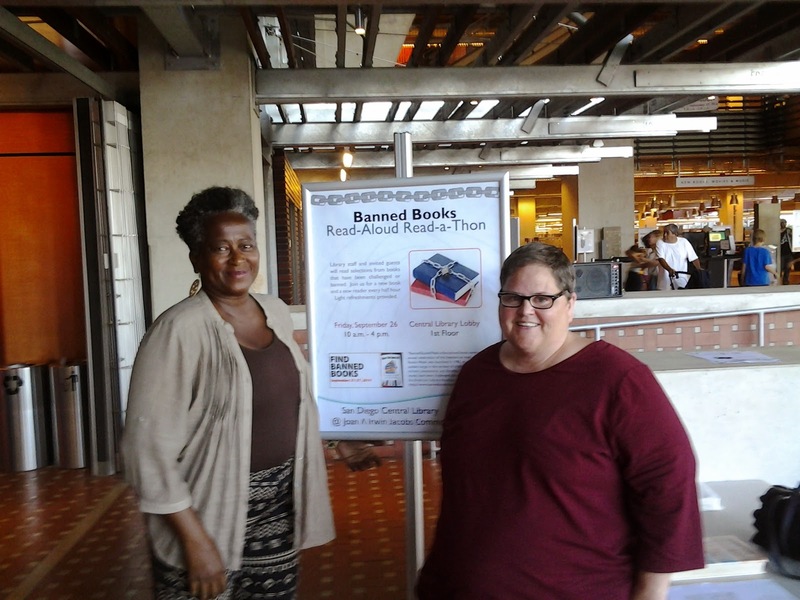 Our voices were amplified onto several floors as we “inflicted culture” (a phrase learned from library staffers two years ago) into the mix of reasons to “be” at the Library, inclusive of gathering to seek information and knowledge. A prose writer as well as poet Nikki Giovanni’s work continues to inform, to speak knowledge to ways of finding one’s voice situated in myriad contested “locations”. 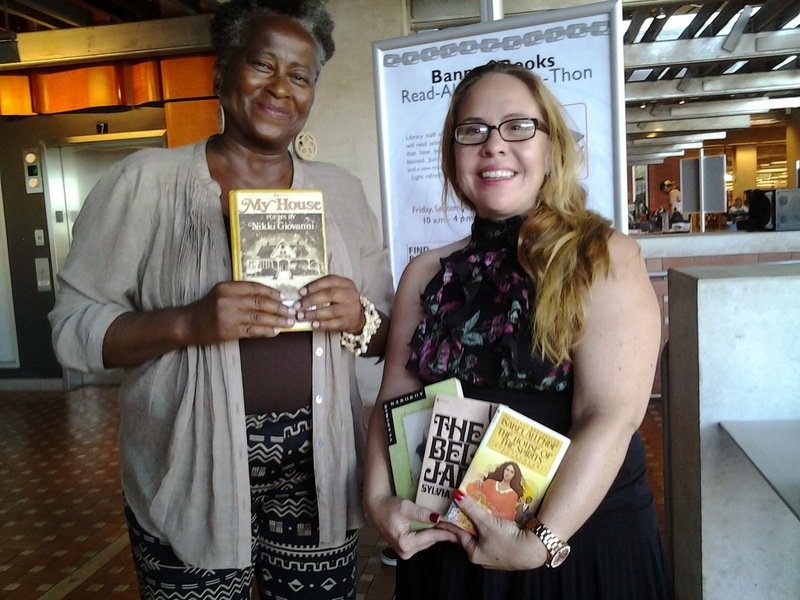 Thank you to Marc Chery for the invitation to read again. At the end of our reading, Heather and I had a chance to talk casually with Marc Chery and Jen Geran. They appreciate the added space, state of the art technology, public accessibility and expanded outreach programs. They are excited for the future of the Central Library in the 21st century as it continues to provide services for the greater San Diego area and the world. 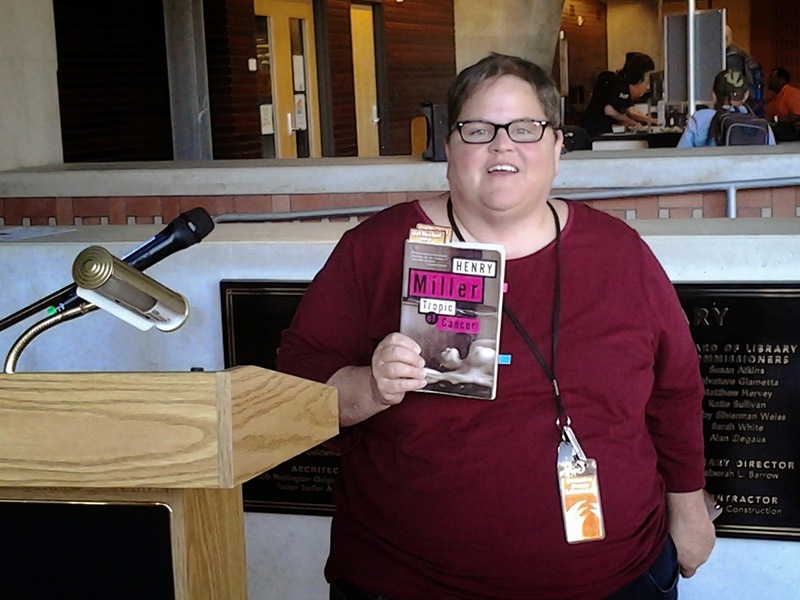 The library can now host a larger number of exhibits, conferences and performances. It hosted presentations by the San Diego Fringe Festival 2014 this year in the new Shiley Theater on the ninth floor. Negotiations for several upcoming public lectures, speeches and poetry readings for late 2014 and early January 2015 are ongoing, updates soon.